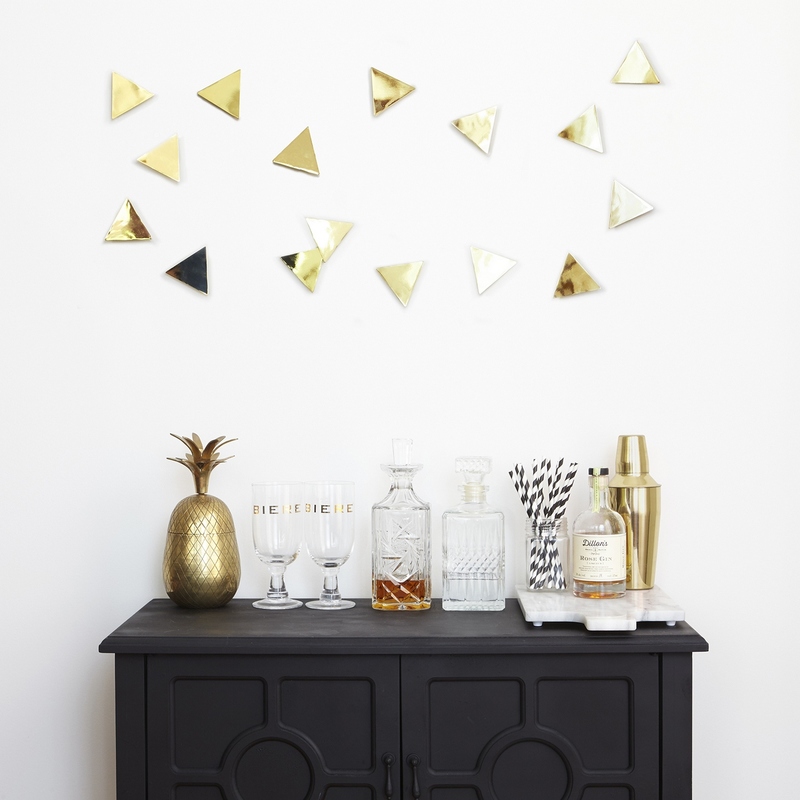 Inspired by polka dot patterns, Confetti, was designed to make a big impact with very little effort. 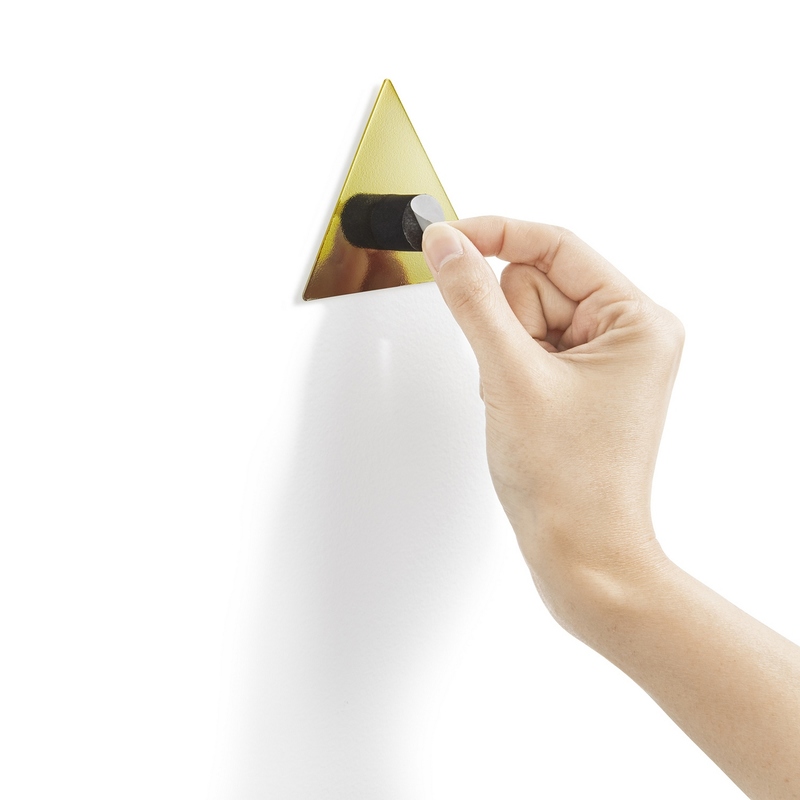 The polished surface creates a reflective pattern on the wall. 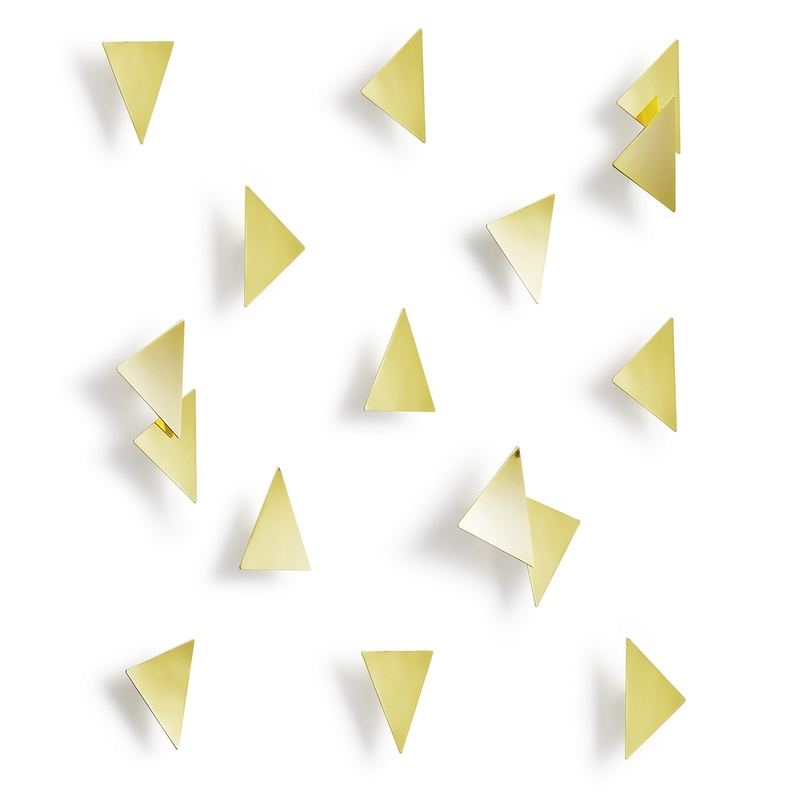 Two different offset heights of the product allow the shapes to be overlapped when mounted, creating a confetti-inspired three dimensional look. 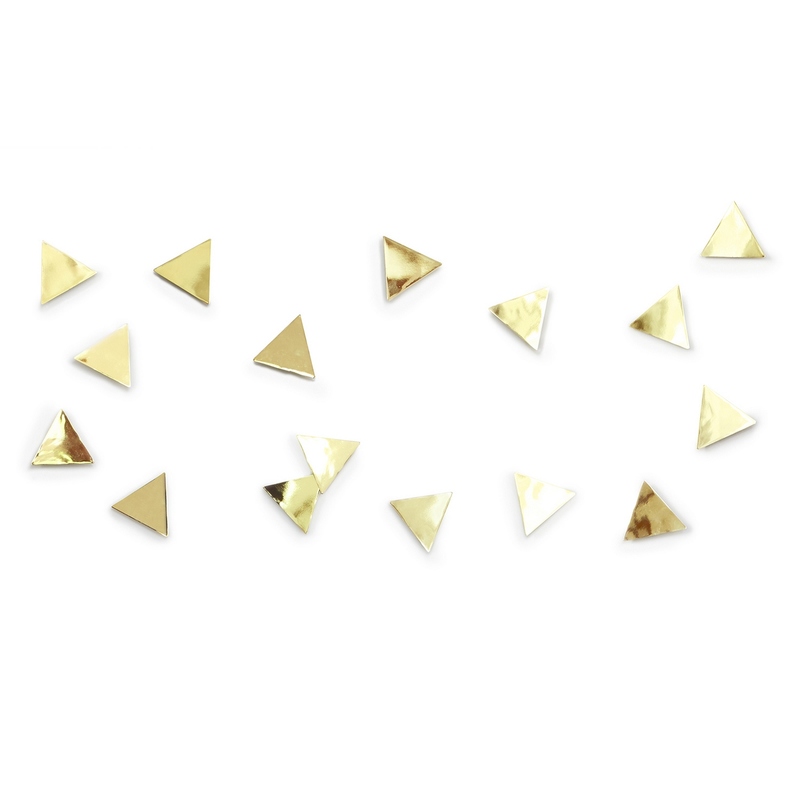 Use the 16 little triangles to create a random design or an organized shape. 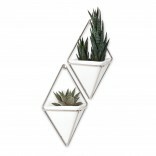 The peel and stick backing makes them super easy to install. 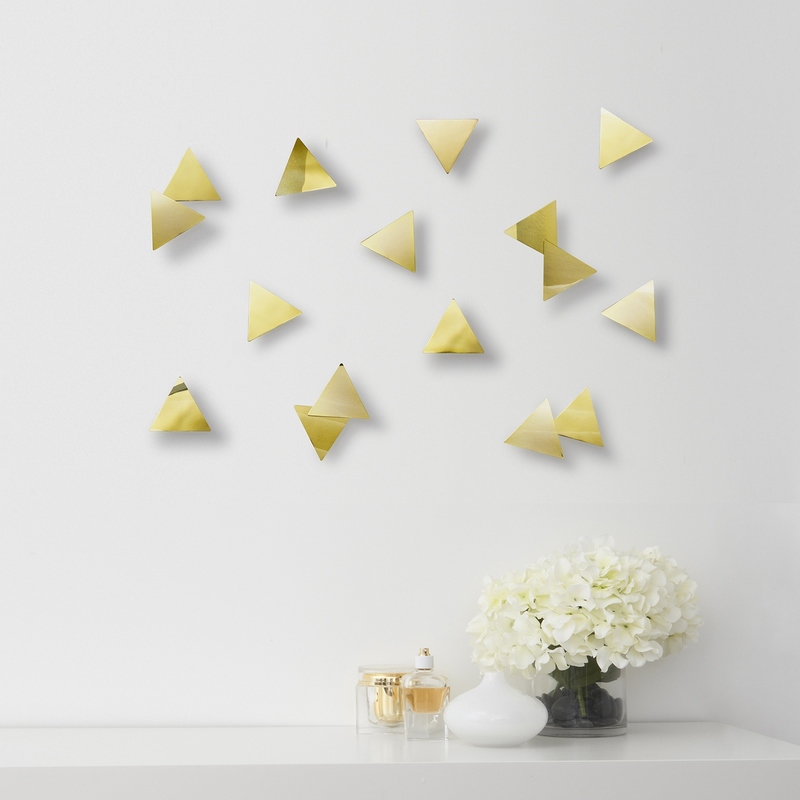 Upgrade your decor in your living room, office or bedroom with the whimsical brass confetti triangles! 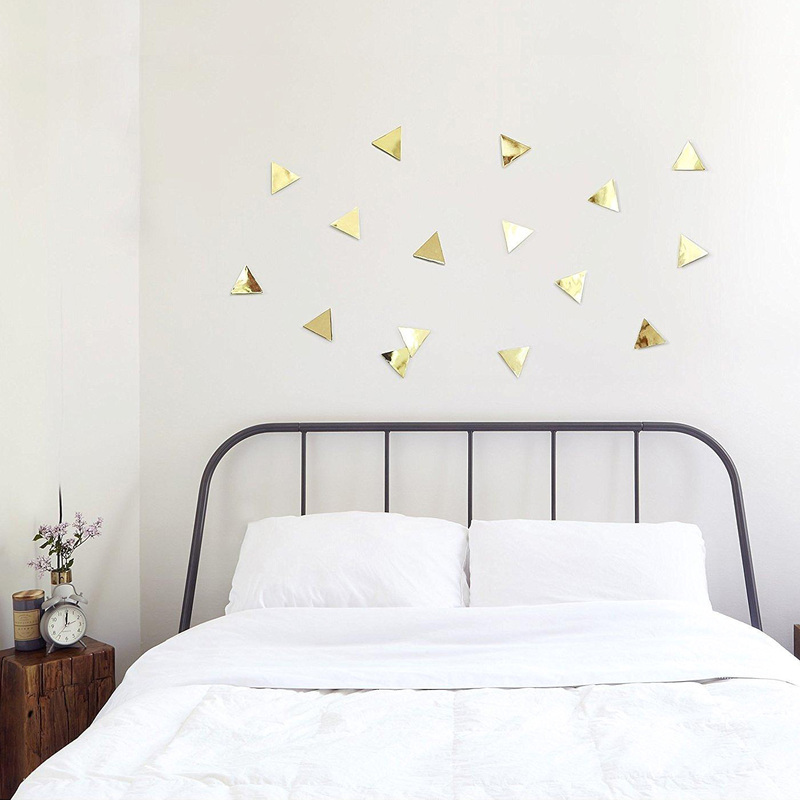 Set of 16 triangle wall decals. 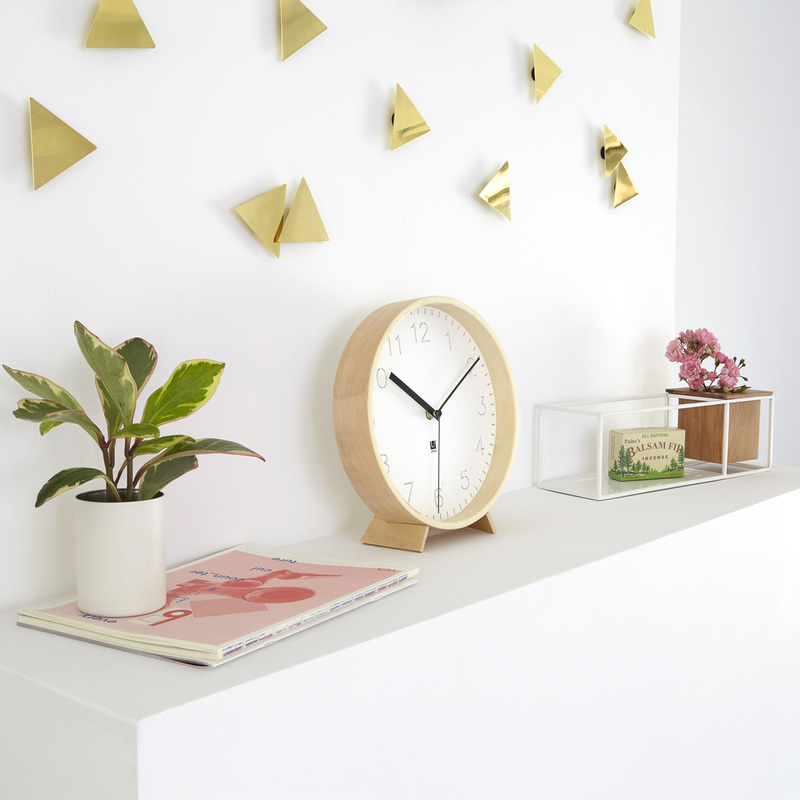 Material: metal with brass polish.